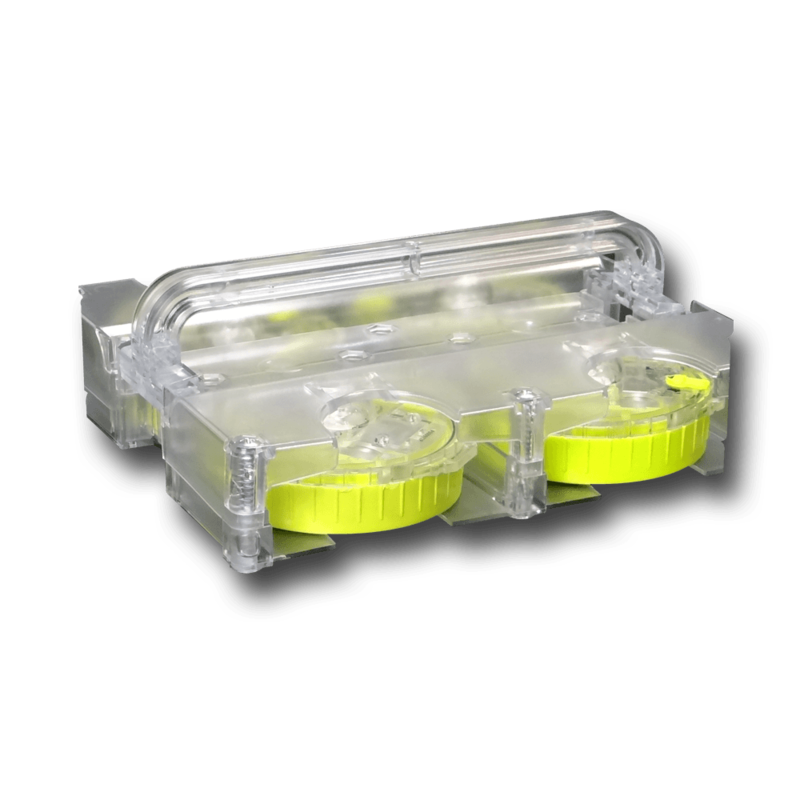 Model 9850 MightyFlare® Kit includes (12) Model MFBX Disc Shaped Steady Beam LED Lights with High/Low Intensity in a Transparent Carrying Case for illuminating the first responder during deployment. Each light includes ''AA'' Batteries. 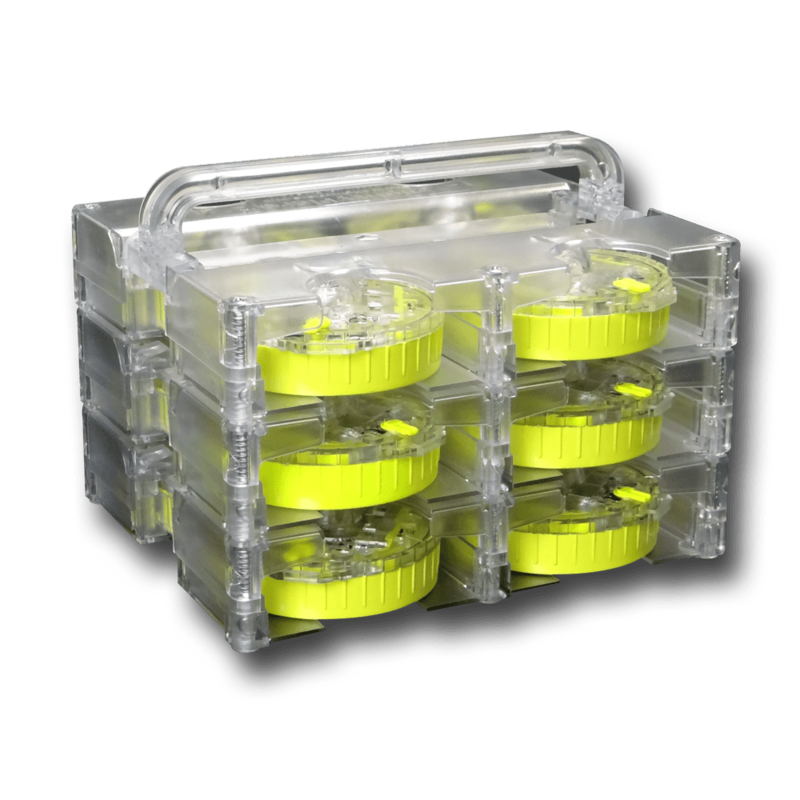 Model 9880 MightyFlare® Kit includes (12) Model MFAX Disc Shaped LED Lights with (5) Flashing Modes & (4) Intensity Settings in a Transparent Carrying Case. Each light includes ''AA'' Batteries. 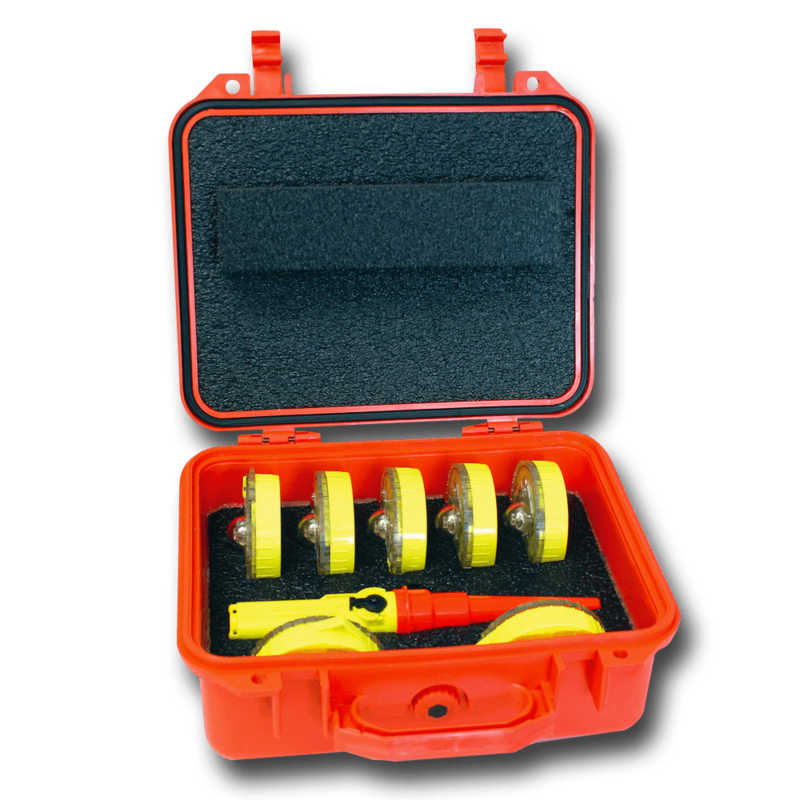 Model 9830 MightyFlare® Kit includes (4) Model MFBX Disc Shaped Steady Beam LED road flares with High/Low Intensity in a Transparent Carrying Case for illuminating the first responder during deployment. Each light includes ''AA'' Batteries. 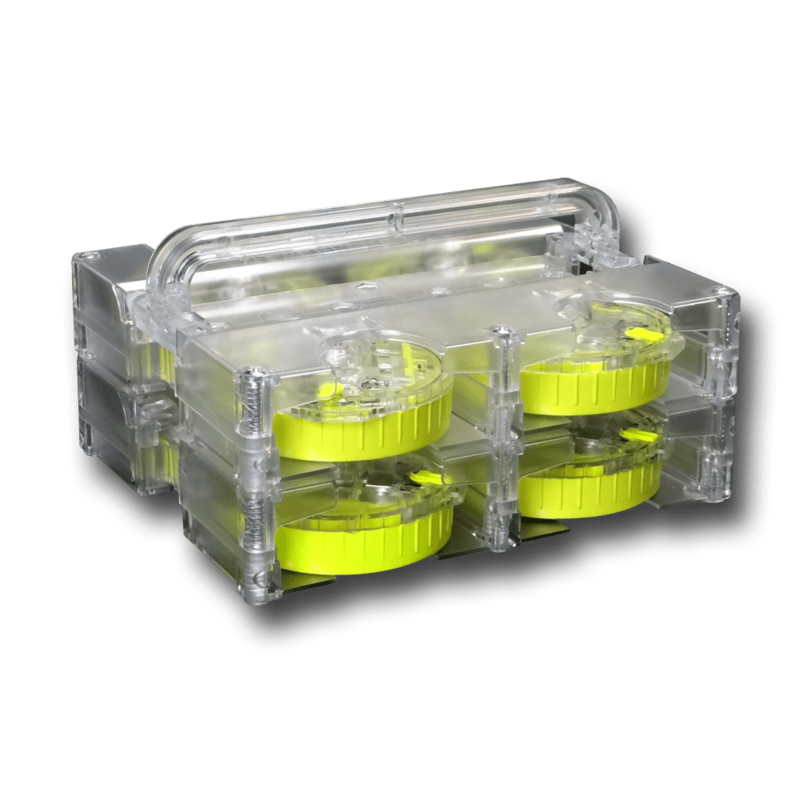 Model 9860 MightyFlare® Kit includes (4) Model MFAX Disc Shaped LED Lights with (5) Flashing Modes & (4) Intensity Settings in a Transparent Carrying Case. Each light includes ''AA'' Batteries. 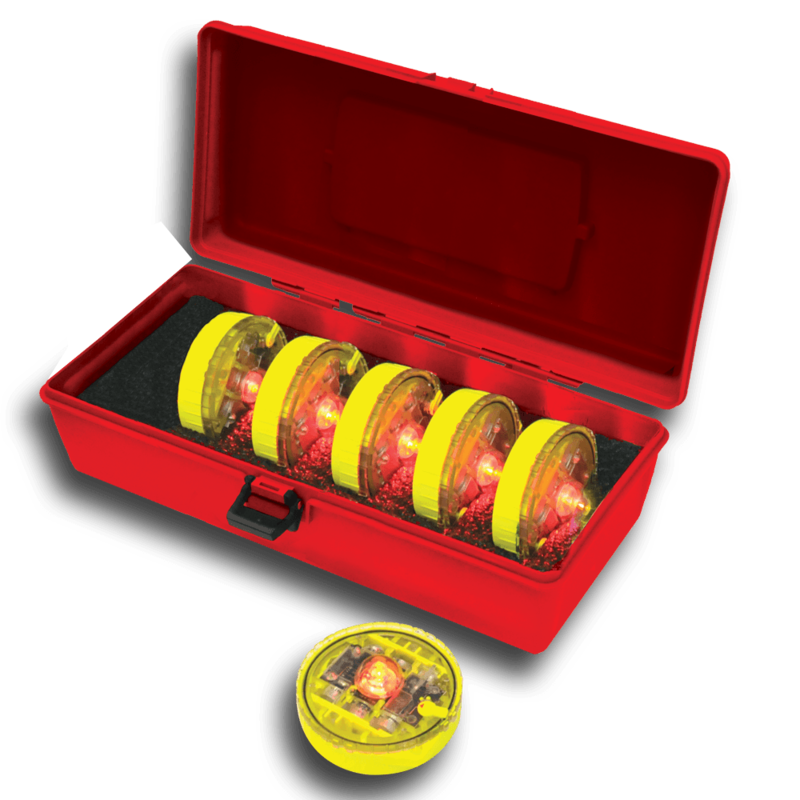 Model 9500 MightyFlare® Kit includes (6) Model MFAX Disc Shaped LED road flares each having (5) Flashing Modes, (4) Intensity Settings and (3) ''AA'' Alkaline Batteries. All in a Red Plastic Carrying Case. Model 9400 MightyFlare® Kit includes (6) Model MFBX LED Disc Shaped Steady Beam LED road flares with High/Low Intensity modes, ''AA'' Batteries and all in a Red Plastic Carrying Case. 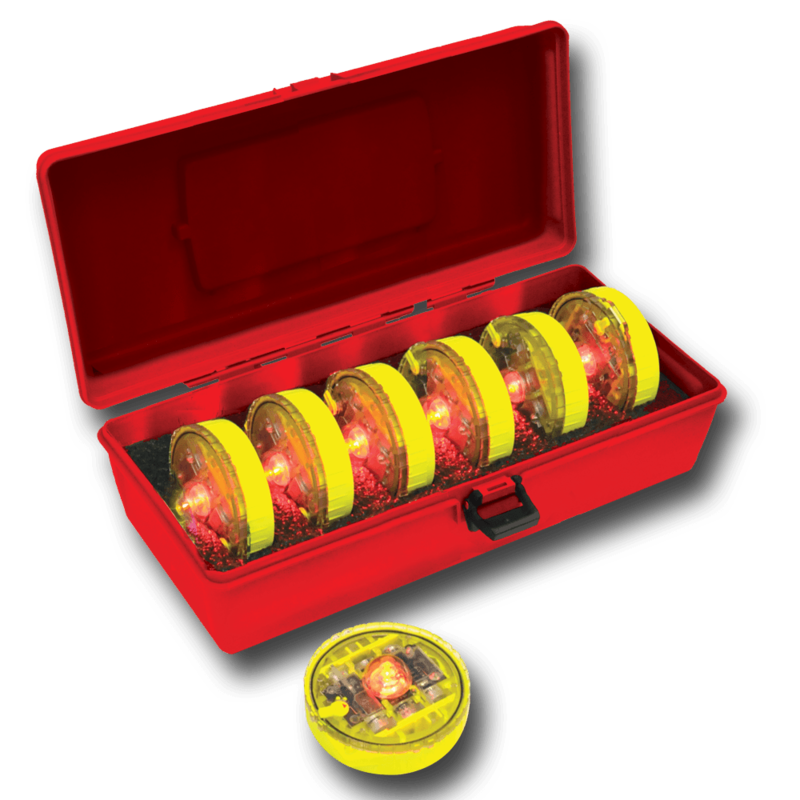 Model 9620 MightyFlare® Kit includes (7) Flashing/Steady Beam MightyFlare® MFAX LED Road Flare Discs & (2) Saberwand® Single Color Traffic Control Wands with Thumbswitch in a Heavy Duty Carrying Case. Model 9600 MightyFlare® Kit includes (7) MightyFlare® Model MFBX Disc Shaped Steady Beam LED road flares each having High/Low intensity Steady Light modes & (2) Saberwand® Model 1510 Thumbswitch Control Single Color Traffic Control Wands in a Heavy Duty Orange Carrying Case. All lights include ''AA'' Batteries.